German. Married to a Buffalo girl. Two cats. I moved to Buffalo, NY about 4 years ago. Why Buffalo? Because my wife grew up here. I was born and raised in Münster, Germany and lived most recently in Vienna, Austria. I worked as a journalist for financial newspapers, websites and magazines. I wrote mainly about tech companies such as Apple, Facebook, Google among other things. As part of my job I was exposed to photography and filmmaking and discovered a passion. It didn’t take long for family and friends to ask me to photograph their weddings. I realized how much fun it was to be part of such an emotional day which you remember for a lifetime. Since then, I have been a wedding photographer and videographer at more than 150 weddings in the USA, Germany, Mexico, Canada and Brazil. My work has been featured in Artvoice, the Buffalo Wedding Magazine as well as in the Rochester Wedding Magazine. Photo and Video combined. Finally. No need to deal with multiple vendors to have both photo and video. We can do photo only coverage, video only coverage, or a combination of both. That will save you the hassle of having two different teams who are basically fighting for time. And it captures the emotions of your wedding day in all the ways possible. When you look at my photos and videos I want you to be able to relive your wedding day, even decades later. The images should show your personal favorite moments and little stories you might have missed. To transform your day into a photo story I prefer to stay under the radar if possible. I’ll try to take most of the photos of your guests unnoticed by them. To be honest, when a person starts to pose for my camera is usually when I stop shooting. The photos should be as natural as possible; most of my images are candid photography. Think about it as a journalistic approach to document the entire day. Too many posed photos and serving unhappy customers. Please tell me if there is anything I should be aware of or pay special attention to on your wedding day. Of course I will pose people in group shots of your family or the bridal party, but I wonʼt walk up to everybody, interrupt their conversation, and ask them to smile. We do candid photography and videography to capture all the emotions of your wedding day in the best way possible. Here is how we do it. We capture your wedding day in a photo-journalistic way, focused on candids and moments. Of course we still take all the family and group photos you need. You can expect around 400-500 images, delivered via an online gallery. Starts at $2500 for 9 hours of coverage. Stefan Ludwig will focus on photos and also capture video footage for a 3-5 minute highlight film, including drone footage. A second photographer is included in this package to make sure we don’t sacrifice your photo quality in any way. Highlight video tells the story of the wedding day. Starts at $3500. Coverage by 1 photographer and 1 videographer. A short film to share on social media and a feature film with speeches. Short film and feature film will tell the story of the wedding day and the story about you two via interviews or a letter. Starts at $4500. No prints needed. Just gifs right to your guests phones. A photo booth is an amazing piece of entertainment for your guests. Traditionally most of those work with a ton of accessories to make the experience of taking a simple photo more fun. This year it is time to change it up a little. We have added a fun and different approach to a photo booth. We call it Gifyyy Booth. It is a simple setup, a light on a tripod with an iPad to take the photos. Your guests choose if they want a still photo or a GIF and the app handles the rest. Afterwards your guests simply type in their phone number right on the screen and immediately receive their photo or GIF. Of course you have access to the entire gallery - and so do your guests. Please note, there are different kind of films we offer. 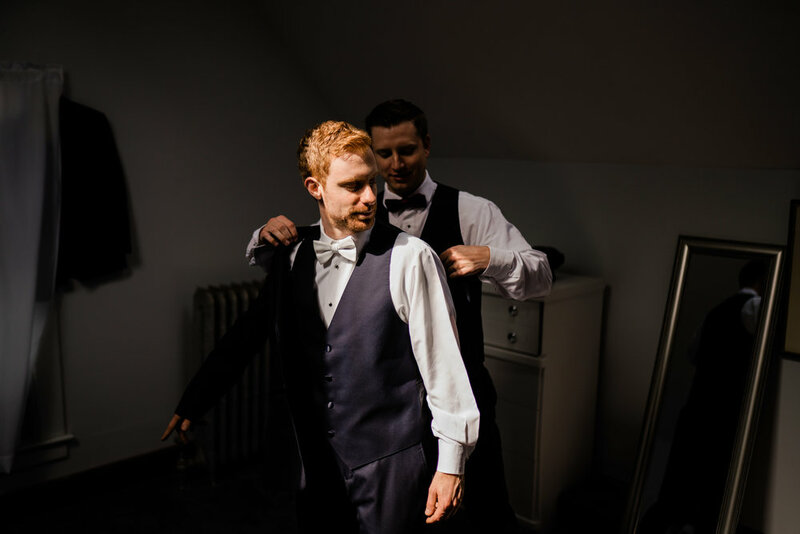 If you want Stefan to capture photo and a highlight film together with a second photographer, you receive a film about your wedding day with background music. If you prefer a dedicated videographer alongside a dedicated photographer, you will receive two videos. A feature film including the best footage from the entire day, typically an interview with the two of you as well as full speeches. A short film, which is the shortened version of your feature film to share on social media. We wanted someone who did photography and video together so we knew there would be no tension the day of the wedding. After an online search we found Stefan. Stefan his team worked so well together and we couldn't be more ecstatic with the results. Stefan is so easy to work with and has such talent when paying attention to detail. During dinner Stefan worked to upload some of the pictures he had taken of us onto a tablet so they could be displayed for our guests to see. That was a huge hit with not only my husband and I but all our guests! We went with Stefan for both our photos and our videos and we couldn't have been happier!! 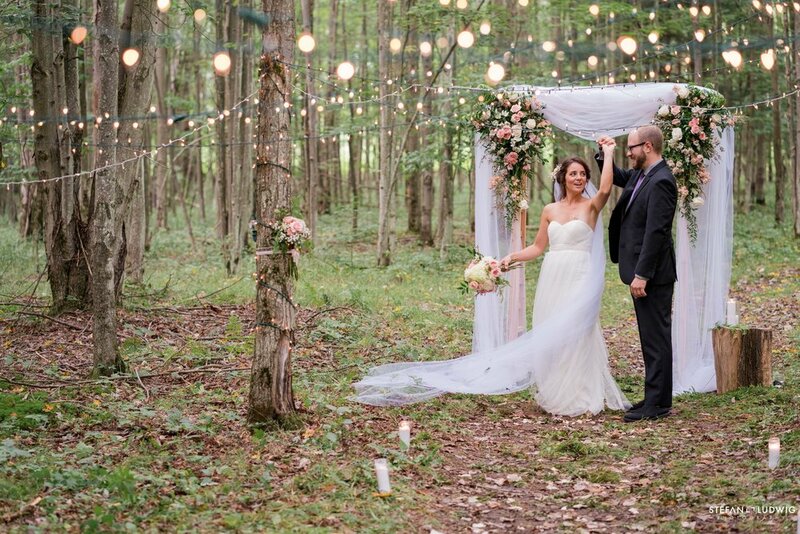 From start to finish all of the photos were truly magical. We also did our engagement session with Stefan, and those winter time photos are some of my favorites. He truly captured the most special moments of our day and every tiny detail from kids dancing, to flower petals falling, and the drone footage of our venue was absolutely exquisite! We're planning on doing an anniversary session with him as well, we couldn't have been happier or more appreciative, I can't recommend Stefan enough, he captures the true emotions of your special day! Stefan was awesome! 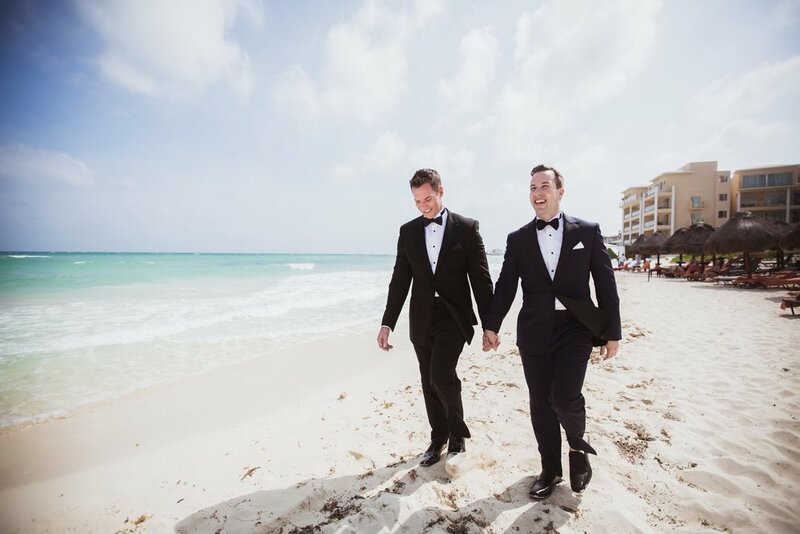 We booked him because he did our best friend's wedding and we loved their photos. You get so much bang for your buck with Stefan. Each photo he takes is beautiful, there's not a bad one in the bunch. He is great at capturing people in the moment, knowing exactly when to snap that picture. He was kind, patient, and calm. He did Knox Farms with us for engagement photos in the winter, and those photos came out unique and beautiful. After shooting over 125 weddings, I have decided to create a video series with my preferred vendors. It is called the Buffalo Wedding Vendor Videopodcast and is supposed to make your planning process easier. Wether you are still looking for a venue or maybe a dress designer, florist or hair and makeup artist, every video covers in depth what these venues and vendors have to offer.